The Kickstarter for the Stalker "spiritual successor" Areal looked like a sure-fire train wreck after it launched, as serious questions about its legitimacy and the bona fides of the team behind it seemed almost certain to bring it down. Yet it continues to persevere, and today the former lead designer of Vostok Games' Survarium, who also worked as a designer on the original Stalker: Shadow of Chernobyl, posted a video message confirming that he's joined the West Games development team. Alexey Sytyanov actually hooked up with West Games as a consultant last week, but today the studio announced that he's now joined up full time as a producer. 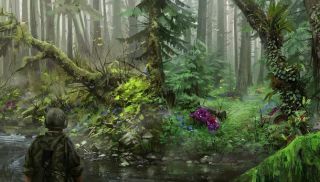 In a Kickstarter update , Sytyanov compared the negativity surrounding Areal to the early days of Stalker, when GSC Game World faced criticism for its lack of experience. "What happened was that we pushed through that and made an awesome cult hit video game series," he wrote. Sytyanov hasn't been involved in the Survarium project for about a year, according to Vostok Games, which said he and the studio parted ways over creative differences. But his presence nonetheless brings some much-needed credibility to Areal and West Games, whose claims of being composed of the "core people" behind Stalker were called into question by Vostok and others. West Games hasn't responded to requests for comment and the whole thing still looks a little bit dicey, but it's also seems increasingly possible that much of the furor over Areal was simply the result of extremely poor communication. Sadly, Sytyanov's video message doesn't show us anything new; it's just him talking for a few minutes and then a few shots of concept art we've already seen. Meanwhile, the Areal Kickstarter continues to slowly grind toward success: With 15 days left on the clock, it stands at just shy of $35,000 on a $50,000 goal.